The Age of Grace preached the gospel of repentance, and provided that man believed, then he would be saved. Today, in place of salvation there is only talk of conquest and perfection. Never is it said that if one person believes, their whole family will be blessed, or that salvation is once and for all. Today, no one speaks these words, and such things are outdated. At the time Jesus’ work was the redemption of all mankind. The sins of all who believed in Him were forgiven; as long as you believed in Him, He would redeem you; if you believed in Him, you were no longer a sinner, you were relieved of your sins. This is what it meant to be saved, and to be justified by faith. Yet in those who believed, there remained that which was rebellious and opposed God, and which still had to be slowly removed. Salvation did not mean man had been completely gained by Jesus, but that man was no longer of sin, that he had been forgiven his sins: Provided you believed, you would never more be of sin. At the time, Jesus did much work that was incomprehensible to His disciples, and said much that people did not understand. This is because, at the time, He did not give explanation. Thus, several years after He departed, Matthew created His genealogy, and others also did much work that was of the will of man. Jesus did not come to perfect and gain man, but to do one stage of work: bringing forth the gospel of the kingdom of heaven and completing the work of the crucifixion—and so once Jesus was crucified, His work came to a complete end. But in the current stage—the work of conquest—more words must be spoken, more work must be done, and there must be many processes. So too must the mysteries of the work of Jesus and Jehovah be revealed, so that all people may have understanding and clarity in their belief, for this is the work of the last days, and the last days are the end of God’s work, the time of this work’s conclusion. This stage of work will elucidate for you the law of Jehovah and the redemption of Jesus, and is principally so that you may understand the entire work of God’s six-thousand-year management plan, and appreciate all the significance and substance of this six-thousand-year management plan, and understand the purpose of all the work done by Jesus and the words He spoke, and even your blind credence in and adoration of the Bible. All this it will allow you to perceive. You will come to understand both the work done by Jesus, and the work of God today; you will understand and behold all of the truth, the life, and the way. In the stage of work done by Jesus, why did Jesus depart without concluding God’s work? Because the stage of Jesus’ work was not the work of conclusion. When He was nailed to the cross, His words also came to an end; after His crucifixion, His work completely finished. The current stage is different: Only after the words are spoken to the end and God’s entire work is concluded will His work have finished. During Jesus’ stage of work, there were many words that remained unsaid, or which were not fully articulated. Yet Jesus cared not what He did or did not say, for His ministry was not a ministry of words, and so after He was nailed to the cross He departed. That stage of work was chiefly for the sake of the crucifixion, and is unlike the stage today. This stage of work is principally for the sake of completion, of clearing up, and of bringing all work to a conclusion. If the words are not spoken to their very end, there will be no way of concluding this work, for in this stage of work all work is brought to an end and accomplished using words. At the time, Jesus did much work that was incomprehensible to man. He departed quietly, and today there are still many who do not understand His words, whose understanding is erroneous yet still believed by them to be correct, who do not know that they are wrong. In the end, this current stage will bring God’s work to a complete end, and will provide its conclusion. All will come to understand and know of God’s management plan. The conceptions within man, his intentions, his erroneous understanding, his conceptions toward the work of Jehovah and Jesus, his views about the Gentiles, and his other deviations and errors will be corrected. And man will understand all the right paths of life, and all the work done by God, and the entire truth. When that happens, this stage of work will come to an end. The work of Jehovah was the creation of the world, it was the beginning; this stage of work is the end of work, and it is the conclusion. At the start, God’s work was carried out among the chosen ones of Israel, and it was the dawn of a new epoch in the most holy of all places. The last stage of work is carried out in the most impure of all countries, to judge the world and bring the age to an end. In the first stage, God’s work was done in the brightest of all places, and the last stage is carried out in the darkest of all places, and this darkness will be driven out, the light brought forth, and all the people conquered. 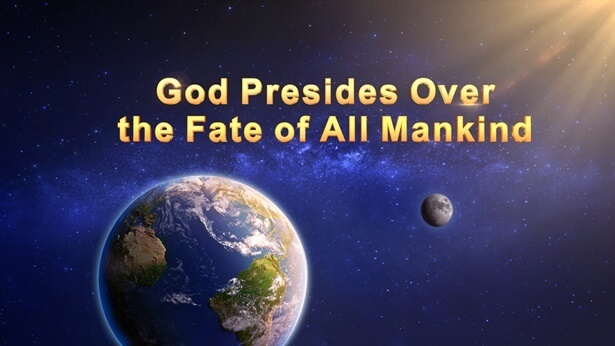 When the people of this most impure and darkest of all places have been conquered, and the entire population has acknowledged that there is a God, who is the true God, and every person has been utterly convinced, then this fact will be used to carry out the work of conquest throughout the entire universe. This stage of work is symbolic: Once the work of this age has been finished, the work of 6,000 years of management will come to a complete end. Once those in the darkest of all places have been conquered, it goes without saying that it will also be so everywhere else. As such, only the work of conquest in China carries meaningful symbolism. China embodies all forces of darkness, and the people of China represent all those who are of the flesh, of Satan, and of flesh and blood. It is the Chinese people who have been most corrupted by the great red dragon, who have the strongest opposition to God, whose humanity is most base and impure, and so they are the archetype of all corrupt humanity. This is not to say that other countries have no problems at all; the conceptions of man are all the same, and although the people of these countries may be of good caliber, if they do not know God, then it must be that they oppose Him. Why did the Jews also oppose and defy God? Why did the Pharisees also oppose Him? Why did Judas betray Jesus? At the time, many of the disciples did not know Jesus. Why, after Jesus was crucified and rose again, did people still not believe in Him? Is man’s disobedience not all the same? It’s merely that the people of China are made an example of, and when they are conquered they will become a model and specimen, and will serve as reference for others. Why have I always said that you are an adjunct to My management plan? It is in the people of China that corruption, impurity, unrighteousness, opposition, and rebelliousness are manifested most completely and revealed in all their varied forms. On the one hand, they are of poor caliber, and on the other, their lives and mindset are backward, and their habits, social environment, family of birth—all are poor and the most backward. Their status, too, is low. The work in this place is symbolic, and after this test work has been carried out in its entirety, His subsequent work will go much better. If this step of work can be completed, then the subsequent work goes without saying. Once this step of work has been accomplished, great success will have been fully achieved, and the work of conquest throughout the entire universe will have come to a complete end. In fact, once the work among you has been successful, this will be equivalent to the success throughout the entire universe. This is the significance of why I have you act as a model and specimen. Rebelliousness, opposition, impurity, unrighteousness—all are found in these people, and in them is represented all the rebelliousness of mankind. They are really something. Thus, they are held up as the epitome of conquest, and once they have been conquered they will naturally become a specimen and model for others. Nothing was more symbolic than the first stage being carried out in Israel: The Israelites were the most holy and least corrupt of all peoples, and so the dawn of the new epoch in this land held the utmost significance. It can be said that mankind’s forefathers came from Israel, and that Israel was the birthplace of God’s work. In the beginning, these people were the most holy, and they all worshiped Jehovah, and God’s work in them was able to yield the greatest results. The entire Bible records the work of two ages: One was the work of the Age of Law, and one was the work of the Age of Grace. The Old Testament records Jehovah’s words to the Israelites and His work in Israel; the New Testament records Jesus’ work in Judea. But why does the Bible not contain any Chinese names? Because the first two parts of God’s work were carried out in Israel, because the people of Israel were the chosen ones—which is to say that they were the first to accept the work of Jehovah. They were the least corrupt of all mankind, and in the beginning, they were of a mind to look up to God and revere Him. They obeyed the words of Jehovah, and always served in the temple, and wore priestly robes or crowns. They were the earliest people to worship God, and the earliest object of His work. These people were a specimen and model for the whole of mankind. They were specimens and models of holiness and righteousness. People such as Job, Abraham, Lot, or Peter and Timothy—they were all Israelites, and the most holy of specimens and models. Israel was the earliest country to worship God among mankind, and more righteous people came from here than anywhere else. God worked in them in order that He could better manage mankind throughout the land in the future. Their achievements and the righteousness of their worship of Jehovah were recorded, so that they could serve as specimens and models to the people beyond Israel during the Age of Grace; and their actions have upheld several thousand years of work, right up until today. After the foundation of the world, the first stage of God’s work was carried out in Israel, and thus Israel was the birthplace of God’s work on earth, and the base of God’s work on earth. The scope of Jesus’ work covered the whole of Judea. During His work, very few of those outside of Judea knew of it, for He did not do any work beyond Judea. Today, God’s work has been brought to China, and it is carried out purely within this scope. During this phase, no work is launched outside of China; its spread beyond China is work that will come later. This stage of work follows on from the stage of Jesus’ work. Jesus did the work of redemption, and this stage is the work that follows on; the redemption has been completed, and in this stage there is no need for conception by the Holy Spirit, because this stage of work is unlike the last stage, and, moreover, because China is unlike Israel. The stage of work carried out by Jesus was the work of redemption. Man beheld Jesus, and not long after, His work began to spread to the Gentiles. Today, there are many who believe in God in America, the UK and Russia, so why are there less in China? Because China is the most closed nation. As such, China was the last to accept the way of God, and even now it has been less than a hundred years since it did—much later than America and the UK. The last stage of God’s work is carried out in the land of China in order to bring His work to an end, and in order that all His work may be accomplished. The people in Israel all called Jehovah their Lord. At the time, they considered Him the head of their family, and the whole of Israel became a great family in which everyone worshiped their Lord Jehovah. The Spirit of Jehovah often appeared to them, and He spoke and uttered His voice to them, and used a pillar of cloud and sound to guide their lives. At that time, the Spirit provided His guidance in Israel directly, speaking and uttering His voice to the people, and they beheld the clouds and heard the peals of thunder, and in this way He guided their lives for several thousands of years. Thus, only the people of Israel have always worshiped Jehovah. They believe that Jehovah is their God, and is not the God of the Gentiles. This isn’t surprising: Jehovah, after all, had worked among them for close to 4,000 years. In the land of China, after slumbering for thousands of years, only now have the degenerates come to know that the heavens and earth and all things were not formed naturally, but made by the Creator. Because this gospel has come from abroad, those feudal, reactionary minds believe that all those who accept this gospel are committing a monstrous crime, they are the curs who betray Buddha—their ancestor. Moreover, many of these feudal minds ask, How could Chinese people believe in the God of foreigners? Do they not betray their ancestors? Are they not committing evil? Today, people have long since forgotten that Jehovah is their[a] God. They have long since pushed the Creator to the back of their minds, and they instead believe in evolution, which means that man has evolved from apes, and that the natural world came about as a matter of course. All the good food enjoyed by mankind is provided by nature, there is order to the life and death of man, and there does not exist a God who rules over it all. Moreover, there are many atheists who believe that God ruling over everything is superstition and is not scientific. But can science replace the work of God? Can science rule over mankind? Preaching the gospel in a country ruled by atheism is no easy task, and involves great obstacles. Today, are there not many who oppose God in this way? Many people held up the work of Jesus against that of Jehovah, and when they found inconsistencies, they nailed Jesus to the cross. But why were there inconsistencies between Their work? It was, in part, because Jesus did new work, and also because before Jesus began His work, no one had written His genealogy. If someone had, then there would be no need to worry, and who would still nail Jesus to the cross? If Matthew had written Jesus’ genealogy several decades earlier, then Jesus would not have suffered such great persecution. Is this not so? As soon as people read of Jesus’ genealogy—that He was the son of Abraham, and the root of David—then they would have ceased their persecution of Him. Isn’t it a pity that His genealogy was written too late? And what a pity it is that the Bible only records two stages of God’s work: one stage that was the work of the Age of Law, and one that was the work of the Age of Grace; one stage that was the work of Jehovah, and one that was the work of Jesus. How much better it would be if a great prophet had foretold the work of today. There would be an extra section to the Bible entitled “The Work of the Last Days”—wouldn’t that be much better? Why should man be subjected to so much hardship today? You’ve had such a difficult time! If anyone deserves to be hated, it is Isaiah and Daniel for not foretelling the work of the last days, and if anyone is to blame, it is the apostles of the New Testament who did not list the genealogy of the second incarnation of God earlier. What a shame that is! You have to search all over for evidence, and even after finding some fragments of small words you still can’t tell whether they really are proof. How embarrassing! Why is God so secretive in His work? Today, many people have yet to find conclusive evidence, yet they are also unable to deny it. So what should they do? They can’t resolutely follow God, yet neither can they move forward in such doubt. And so, many “clever and gifted scholars” embrace an attitude of “try and see” when they follow God. This is too much trouble! Wouldn’t things have been so much easier if Matthew, Mark, Luke and John were able to foretell the future? It would be better if John had beheld the inner truth of life in the kingdom—what a pity that he only saw visions and did not see real, material work on earth. It’s such a shame! What is wrong with God? Why, after His work went so well in Israel, has He now come to China, and, why did He have to become flesh, and personally work and live among the people? God is too inconsiderate to man! Not only did He not tell people in advance, but suddenly brought His chastisement and judgment. It really makes no sense! The first time God became flesh, He suffered much hardship as a result of not telling man in advance of all the inner truth. Surely He can’t have forgotten that? And so why does He still not tell man this time? Today, how unfortunate it is that there are only sixty-six books in the Bible. There just needs to be one more foretelling the work of the last days! Don’t you think? Even Jehovah, Isaiah and David made no mention of the work of today. They were further removed from the present, with a time separation of over 4,000 years. Neither did Jesus fully foretell the work of today, speaking just a little of it, and still man finds insufficient evidence. If you compare the work of today with before, how can the two tally with each other? Jehovah’s stage of work was directed at Israel, so if you compare the work of today with it there will be even greater dissonance; the two of them simply cannot be compared. Neither are you of Israel, or a Jew; your caliber and everything about you is lacking—how can you compare yourself against them? Is this possible? Know that today is the Age of Kingdom, and it is different from the Age of Law and the Age of Grace. In any case, don’t try and apply a formula; God cannot be found in any such formulas. How did Jesus live during the 29 years after His birth? The Bible records nothing of His childhood and youth; do you know what they were like? Could it be that He had no childhood or youth, and that when He was born He was already 30 years old? You know too little, so don’t be so careless in airing your views. It does you no good! The Bible only records that before Jesus’ 30th birthday, He was baptized and was led by the Holy Spirit into the wilderness to undergo the devil’s temptation. And the Four Gospels record His three and a half years of work. There is no record of His childhood and youth, but this does not prove that He had no childhood and youth; it’s just that, in the beginning, He did not do any work, and was an ordinary person. Being an ordinary person, then, could He have lived for 33 years without a youth? Could He have not had a childhood? Could He have suddenly reached the age of 33.5 without passing the age of 11 or 12, or 17 or 18? Everything man thinks about Him is supernatural. Man does not possess the truth! There is no doubt that God incarnate is possessed of ordinary and normal humanity, but when He carries out His work it is directly with His incomplete humanity and complete divinity. It is because of this that people have doubts about the work of today, and even about the work of Jesus. Although God’s work differs in the two times He became flesh, His substance does not. Of course, if you read the records of the Four Gospels, the differences are great. How could you come back to Jesus’ life during His childhood and youth? How could you comprehend the normal humanity of Jesus? Maybe you have a strong understanding of God’s humanity today, yet you have no grasp of Jesus’ humanity, much less do you understand it. If it had not been recorded by Matthew, you would have no inkling of the humanity of Jesus. Maybe, when I tell you of Jesus’ stories during His life, and tell you of the inner truths of Jesus’ childhood and youth, you will shake your head: “No! He couldn’t be like that. He can’t have any weakness, much less should He possess any humanity!” You’ll even shout and scream. It is because you don’t understand Jesus that you have conceptions of Me. You believe Jesus to be too divine, to have nothing of the flesh about Him. But the facts are still the facts. No one wishes to speak in defiance of the truth of the facts, for when I speak it is in relation to the truth; it is not speculation, nor is it prophecy. Know that God can rise to great heights, and, moreover, that He can hide in great depths. He is unimaginable by your intellect, He is the God of all creatures, and not a personal God conceived by one particular person.